Is daily life an extension the digital world or the other way around for you? I believe your attitude and your answer is likely to have an impact on your happiness, as h behavior follows attitude and habit! With the rise of e-commerce and demise of physical brick-and-mortar retail, consumers are continually hungry for experiences that engage and excite them. Experiential retail at its core looks at creating and tailoring experience through a unique journey of touchpoints available exclusively to the space, consequentially leaving the consumer entertained, inspired and resonating with the brand or merchant and resulting in sales. Luxury retailers such as Harrods and Bergdorfs have been achieving this for decades with their precision orientated service for discerning clientele who expect a tailored experience to match their spend. In the early days of Steve Jobs’ return to Apple, he took the concept of purchasing a computer to an entirely new territory through the brand’s retail stores, which have almost become tourist attractions in their own right for the experiences they offer consumers. Angela Ahrendts, former CEO of Burberry and currently Apple’s SVP of Retail, sees the grander vision of the brand’s retail approach as that of “town squares” for each of their locations – serving the communities they operate within by offering educational and creative presentations and becoming a place of congregation. This signals more modern market climates that we find ourselves in, where consumers are more hungry for experiences than a variety and surplus of goods – where authenticity and stories can be created and shared. Technology has given mass retailers the opportunity to engage with consumers in real time and offer this personal approach, whilst leveraging off of data captured in these engagements to communicate with the customer through channels both in and out of store. Whilst technology remains important to bring experiential elements to life, the service design and strategy of these spaces must be driven by customer and market insights that give the spaces strong emotive purpose. This is exemplified through an activation by Europe’s favourite furniture brand, Ikea, who brought their Dining Room pop-up space to life driven by the insight of ‘bringing people together through food’. Operating in the trendy Shoreditch area of London for two weeks, the space featured a DIY restaurant that allowed guests to cook and learn alongside on-site chefs, a corresponding café, showrooms for kitchenware and homeware and finally cooking workshops. In line with their customers thirst for great wine British supermarket retailer Waitrose has found great success in offering in-store wine bars in seven of their more prestigious locations, as well as a paired menu from their bakery and delicatessen. The flow and design of such spaces and experiences remain paramount, exemplified by the likes of new luxury thinkers such as Off-White and Alexander Wang – both of whose New York outlets place strong emphasis on the curation of their garments as well as the overall atmosphere – the latter using a section of the store as an exhibition space for exclusive product and artwork. The question remains for South Africa is when will we see the rise of such a concept? 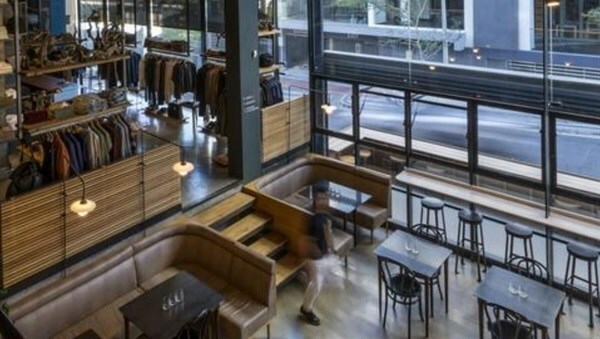 Cape Town-based retailer meets restaurant Loading Bay has been achieving this model for years with its selection of premium clothing, books and magazines and a corresponding restaurant with amazing reviews. Home to the world’s best cappuccino is Truth Coffee whose prime steampunk space on De Waterkant Street is an experience to witness in itself. Even the likes of Corner Store, a multi-brand streetwear space, is elevating the concept and expectations of local streetwear through acting as a multi-functional canvas for fashion, art and music. This week at ‘Public X Design’, Shin-pei Tsay, Executive Director of Gehl Institute launched the ‘Public Life Data Protocol’ developed in partnership with the Municipality of Copenhagen, the City of San Francisco, and with support and input from Seattle Department of Transportation. The ‘Public Life Data Protocol’ is an open source data specification that will allow anyone to collect public life data. The Protocol describes a set of metrics that are crucial to the understanding of public life in public space, and will create a common language around this data collection. The metrics were first developed by Jan Gehl as a research methodology, and later adapted by the Gehl practice into the Public Space and Public Life (PSPL) survey tool. 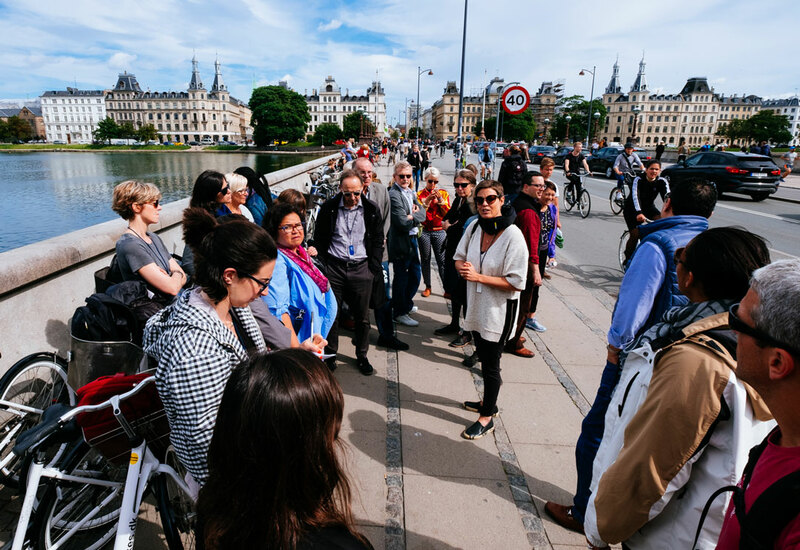 The Protocol is the fruition of decades of research and application, and the PSPL surveys provide a valuable foundation to all of Gehl’s services and projects in cities and communities globally. How are people spending time in public spaces, who are they with, what kind of activities do they engage in, and how long do they stay for? The surveys are a collaborative effort enabling people to engage, identify local problems, and begin to zoom into likely solutions. With the launch of the ‘Public Life Data Protocol’, I took the opportunity to sit down with Gehl’s CEO and Founding Partner Helle Søholt to better understand how Gehl has evolved the Public Life Service and the PSPL survey tool. As the City of Cape Town has just implemented water rationing, this media release informs why we need need to maintain resilient urban landscapes and gardens. The water crisis is a major cause for concern and poses a serious threat to some businesses and people’s livelihoods. On the positive side it has raised public awareness about the value of water, and highlighted the bad practice of using potable water for irrigation. ALL green areas – whether planted landscapes, wild areas, or a road verge with weeds – contribute to the urban ecosystem. They are vital to our well-being: green areas produce air for us to breathe, they filter pollution, absorb storm water and reduce flooding, purify water and maintain a pleasant temperature. Without sufficient planted areas and infiltration – due to the many tarred and paved areas, and reflective surfaces – the city heats up. This is known as the urban heat island effect: pollution levels rise and our quality of life decreases. On summer days, especially when there is no wind, the raised temperature is already evident in the City Bowl, which is a few degrees hotter than the suburbs. Do not remove successful plants.Consider valuing plants for their resilience and ecological function, in addition to personal preference. A thriving common or weedy plant is better than nothing green at all! Mulch all planted areaswith a 5 to 10cm thick layer of mulch. This dramatically reduces water loss from the soil surface and keeps it cool. Organic mulches such as chipped wood and leaves are best, as they feed the soil and your plants. Keep areas planted, not paved. Consider how important it is for rainwater to infiltrate the soil: this is important for recharging groundwater (and good for trees) and keeps the ambient temperature down. Avoid hard surfaces where possible and usepermeable paving when a hard durable surface is required.